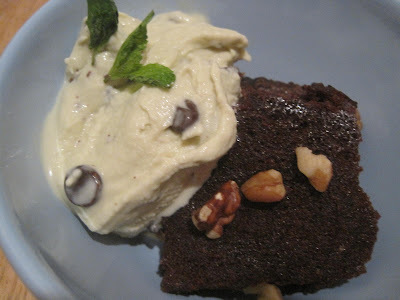 Chocolate and mint--one of my all-time favorite combinations. 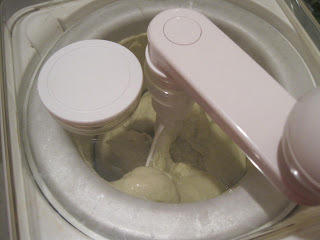 ABF is a fan, too, so I figured I'd try whipping up my own homemade ice-cream in time for Valentine's Day. It's not a HUGE day in my mind--I don't buy into what I think can sometimes be over-the-top, unreasonable expectations many women (and yes, some men) hold onto for this day. But hey, I love spending time with ABF, and I'm glad I have him, so why not put together a fun dessert after a fun day? ABF is a big fan of brownies with walnuts on top (not mixed in, but just placed on top within the last 5 minutes of baking--big distinction! ), but I wanted something else to go with it. I came upon this recipe, but as I didn't have fresh mint on hand, I used spearmint tea bags to infuse the cream. I could have used peppermint extract, but I thought the tea might be a softer flavor. I used 4 tea bags, fyi. Long story short, this was a FAIL. It tasted like peppermint tea with milk in it (gross), and it was awful. I decided to try again with fresh mint instead. 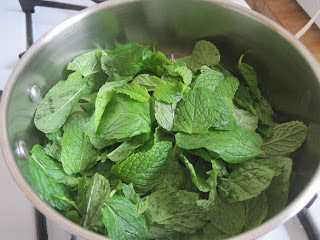 This recipe is a bit labor intensive: you wash and dry the fresh mint (99 cents for each beautiful bunch at my corner market!) before adding it to half the milk/cream mixture. 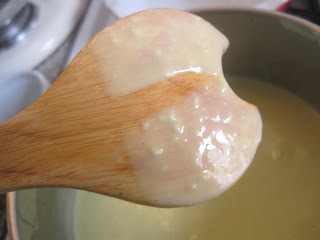 You bring the heat up a bit to steaming (not boiling) and let it sit, repeat, then add the egg yolks to make the custard base. This smelled DIVINE. 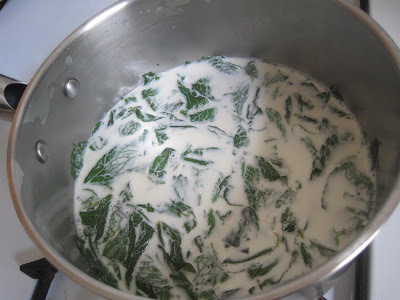 Once the mint had sufficiently infused the milk/cream mixture, it was time to whisk in the egg yolks and make the custard. You can see the universal sign for 'your custard is ready,' the line made through the custard that doesn't run. I had a few eggy bits left (I rushed a bit this time while tempering the egg yolks) but no worries, the strainer took care of that. 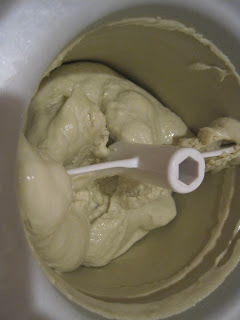 Then it was time to cool the mixture and then put in the ice cream machine! ABF and I took turns cranking the ice cream machine, 4-5 turns every 5 minutes. In about 20 minutes (more than halfway through an "Office" episode), it was ready! I spooned it out, took a taste, and felt the sad trombones sound their 'wahhh wahhhh.' Sigh. It wasn't...great. The mint flavor was too harsh, and overwhelming, and the ice cream was a little too---creamy? Does that even make sense? It was better when it had a brownie to soak into, but it just wasn't as good as, well, Haagen-Dazs. I'm all for making things myself, if they taste better than what's available. This, however, did not. It was an awful lot of work for a so-so result. Sigh. It's not going to waste, however. This ice cream makes EXCELLENT milkshakes. Not so helpful for the 'bridesmaid 2010' program, but tasty all the same. If you have some hands-down-winner recipes for ice cream, I'd love to try them! Please email or leave them in comments and I'll give them a go! AFTER the wedding in May, of course!